Patients wanting to reduce visible signs of ageing on the face can take advantage of several facial rejuvenation procedures. These procedures can be surgical or non-surgical, since there are a variety of treatments available at the Dr Lanzer Clinic. Two of the most used procedures to reduce visible signs of ageing at the moment are the blepharoplasty method and the facelift. To learn more about these rejuvenating, surgical treatments, please read our information below. What Is a Blepharoplasty Method? Blepharoplasty is a term that indicates a surgical procedure performed in the eye region. 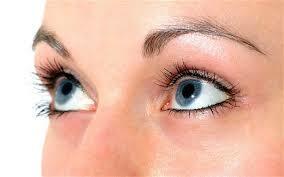 The procedure can be used to remove excess skin and protruding fat on the upper and/or lower eyelid. It is a common anti-ageing procedure, although the treatment can also be used for medical reasons. In some cases, accumulated fat in the upper eyelid can cause the eye to hang. Accumulating fat in the upper eyelid is quite common and considered a natural sign of ageing. That being said, if too much fat start to accumulate, and the eyelid starts to hang, this can decrease the field of vision of the patient. In these cases, blepharoplasty method can provide a solution. The facelift, or rhytidectomy, is a surgical procedure implemented to give a more youthful appearance to the face. Contrary to the blepharoplasty method, which focusses on the eye region, the facelift focusses on the lower part of the face. During a facelift procedure, the surgeon may choose to remove excess skin or tighten underlying tissue to literally lift the face. To achieve the best result possible, facelift procedures can be combined with other procedures that focus on the other parts of the face, including the forehead and cheeks. Can I Obtain a Younger Appearance Without Surgery? Even though the facelift and the blepharoplasty method can provide very clear results, there are some treatments that do not require any incisions and may provide you with a more youthful appearance. Below, you will find an overview of the non-surgical procedures that can have a rejuvenating effect on the face. Laser resurfacing is a treatment that is becoming more popular with men and women throughout Australia. The treatment itself has the ability to reduce facial wrinkles and skin irregularities; this means that the treatment can also be used by people who have acne scars or hyperpigmentation. The laser resurfacing technique can be implemented on the face, neck, hands and chest. It can treat surface-level to moderately deep lines, so the procedure can provide patients with some clear rejuvenating results. Laser resurfacing procedures can be executed with different types of lasers as well, which depend on the skin type of the patient and the severity of skin irregularities and wrinkles. One of the most advanced lasers at the moment, which is also used at the Dr Lanzer Clinic, is the erbium laser. The erbium laser only causes minor side-effects, more specifically minor redness after the blepharoplasty method. Patients who had treatment with an erbium laser usually recover within 7 days after the procedure. One of the biggest benefits of the erbium laser is that this laser works better for people with a darker skin tone. Before the arrival of the erbium laser, the carbon dioxide laser used to be the only option. While the carbon dioxide laser was quite effective for the reduction of wrinkles and skin irregularities, it was less suitable for patients with darker skin tones. The glycolic acid peel is another popular rejuvenation treatment that can reduce visible signs of ageing. Even though its function may remind you of the basic chemical peel you can find in drug stores and supermarkets, the glycolic acid peel used at the Dr Lanzer Clinic is much more powerful. Glycolic acid is a substance that belongs to the category of alpha hydroxy acids (AHA). These particular substances can be used in higher concentrations as a superficial peel, since they are able to remove the dead outer layer of the skin quite rapidly. In addition to the removal of dead skin cells, a glycolic acid peel will also remove oils, dirt and makeup that have been left on the skin. Treatment with a glycolic acid peel will not only make the skin of a patient look younger, it also makes the skin look healthier. By removing dead skin cells and other materials from the outer skin layer, the treatment is able to reveal a much smoother and clearer skin underneath. A glycolic acid peel does not require any downtime either, which is great for patients who want to benefit from an anti-ageing treatment but do not have the time to recover from a surgical procedure. No matter how many rejuvenating procedures a patient takes advantage of, one can only enjoy the results if the patient in question takes proper care of their skin. To determine the best skincare products for your skin, it is recommended to get examined by an experienced dermatologist, who will be able to advise you on the best skincare products. Many patients are already aware that moisturising is one of the cornerstones for a healthier and younger looking skin. However, there are other products that come in contact with our skin that may cause our skin to age quicker if we use the wrong products. Makeup is a very good example of that, because using the wrong makeup products can leave your pores clogged and can even cause outbreaks. Patients who experienced problems in the past with a variety of skincare products can make an appointment with Dr Lanzer. In addition to his experience as a cosmetic surgeon, Dr Lanzer is also a licenced dermatologist. At the Dr Lanzer Clinic, we offer various body and face treatments with carefully selected products. Most of the products used in our facility are a lot more powerful than the products you will find in a salon or spa, which means patients can expect better results from skincare treatment at our clinic. To see the possibilities of our skin rejuvenation treatments, please head over to the information page or book an obligation-free appointment at the Dr Lanzer clinic today.